This two pack of pan scrapers from Lodge is a kitchen essential. Including one red and one black scraper, this two pack of pan scrapers has four different shaped corners on each scraper to accommodate a variety of pan shapes and sizes. Use these pan scrapers to remove grease, baked on food, and other residue. "These things work very well ... gets any remaining specks off your cast iron. Doesn't scratch the "goodness""
"Good for scraping stuck on residue in pots & particularly Cast iron & other fry pans. 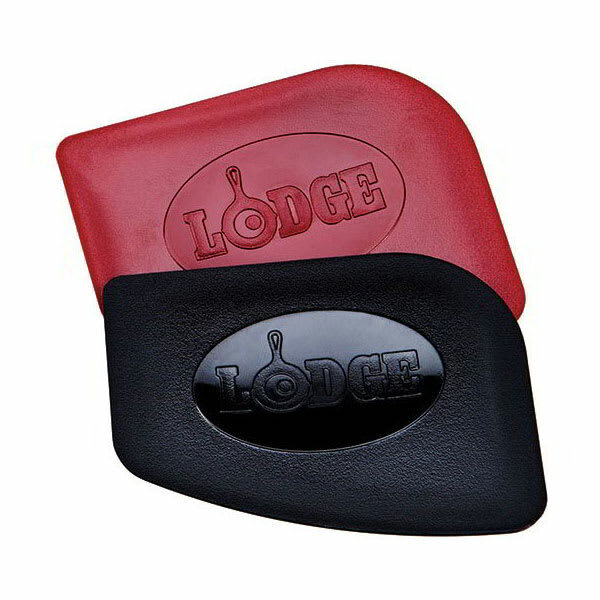 Best to hold at 90 degrees to surface rather than at an an..."
"Makes cleaning cast iron safe and easy, It's cheap to." "Good for scraping stuck on residue in pots & particularly Cast iron & other fry pans. Best to hold at 90 degrees to surface rather than at an angle. The different radii fit well to many pans."